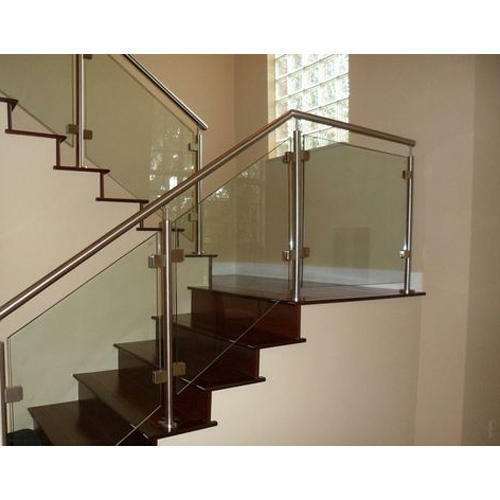 Due to our enormous understanding and massive knowledge of this business, we are involved in offering Stair Glass Handrail. Nexuss Marketing (Balwant Steel Group) company is the market of Stainless Steel Products since 1986 and has 3 Retail stores and one wholesale store in Chennai. We have 50 Dealers for our Brands in and around Tamil Nadu , Andhra Kerala and Karnatak. Our company since 32 years always follows the policy of maintaining the quality of the product and always being truthful to customers. We are specialised in Stainless Steel Polish Pipes, Railing Fittings , Que Manager, WPC Decking and Cladding , Rods , Plates , Sheets , Angels and Scheduled Pipes, we deal in various brands for all the above items.